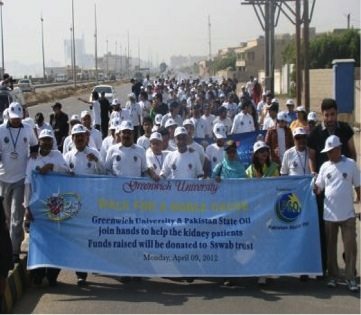 Greenwich University (GU), located in a serene and posh area of the city, over-looking the Arabian Sea, was established 1998 under an Act of Sindh Government (Pakistan). The GU is duly recognized by the Higher Education Commission (HEC) of Pakistan as an autonomous degree-awarding university. 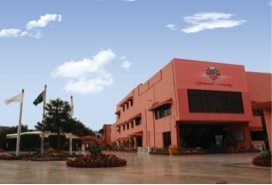 Greenwich, as a seat of learning, is known for its academic excellence, and recognized, across the world, as one of the leading institutions of higher education in Pakistan. Greenwich University is also legally empowered to offer its degree program overseas, and to grant affiliation to other institutions. Due to excellent performance and superior undertakings, the Greenwich University, in addition to its local recognition, is also accredited with various international accreditation bodies, i.e., NAFSA (Association of International Education), IAU (International Association of Universities), AACSB (The Association of Advance Collegiate Schools in Business ), APQN (Asia Pacific Quality Network), and INQAAHE(International Network for Quality Assurance Agencies in Higher Education). The University has also entered into collaboration with Universities in Turkey, Malaysia and Bangladesh. The 2012 was a memorable year of the Greenwich University, marked by the most ambitious Silver Jubilee program that charted the last twenty five years’ glowing achievements and created a unique legacy. Greenwich University is a member of Rotary International in the Campaign against Polio and has a Retract Club with registered members between the ages of 18 and 30 years. These members with their polio coordinator from time to time actively participate in spreading awareness distributing literature, administering polio drops with all other activities like holding seminars, and attending workshops, song, dance and theater has been used to promote the eradication of polio from the world. Our polio song (link: http://www.greenwichuniversity.edu.pk/gutube/Default.aspx?q=xP&vid) written, produced & sung by a Greenwich lead has gained international recognition. The global promotion of female education and especially in Pakistan is of utmost priority focus as we give girls the choice to be everywhere always. The girls rising movement we one girls rising campaign 2013 was given impetus of Greenwich University. This was is part of a global strategy session. We pledge to stand with girls for the betterment of the world at large.